Go no further! 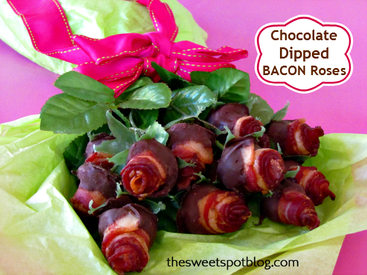 Bacon Roses Dipped in Chocolate. And if you follow the link below, you can say "I made them myself, Mom". If you don't eat them all first!